OXFORD, Miss. – Anastasia Jenkins, a clinical associate professor of pharmacy practice at the University of Mississippi, recently accepted a grant from the American Society of Health-System Pharmacists Foundation on behalf of the Mississippi Society of Health-System Pharmacists. It’s part of efforts to advance and improve pharmacy practice and ambulatory care in Mississippi. ASHP’s Ambulatory Care State Affiliate Workshop grant will support a workshop for pharmacy leaders to share ideas about how the state can improve the pharmacy care it provides. As part of the workshop, a representative from ASHP will present information to attendees about what is needed to develop an action plan and identify top areas of potential impact. The grant is part of a project called the Pharmacy Advancement Initiative. PAI was started by ASHP to guide pharmacists across the country in how to improve the practice of pharmacy, particularly surrounding ambulatory care. 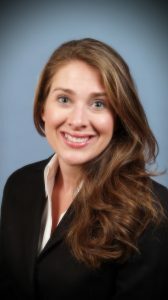 Jenkins, who also is president-elect of the Mississippi Society of Health-System Pharmacists, said she is thrilled to have a member of ASHP help implement the project in the state. “The opportunity to have someone invested in supporting us and sharing in our successes is fantastic, and we are so grateful to the ASHP Foundation for this opportunity,” Jenkins said. Although the leader of this workshop has yet to be identified, ASHP will appoint someone who fits Mississippi’s needs and who has proven success in implementing a similar ambulatory care PAI in his or her state. That person will guide MSHP in implementing its initiative over the next year. The workshop, which will be held at the MSHP annual meeting next summer, also will focus on establishing practice sites and collaborative practice agreements, competency and credentialing, billing for services, and tracking and documenting clinical outcomes. After the workshop, $2,000 from ASHP will go toward activities that promote pharmacy practice advancement in Mississippi. These activities will be determined by the ASHP presenter, the MSHP task force and workshop attendees.